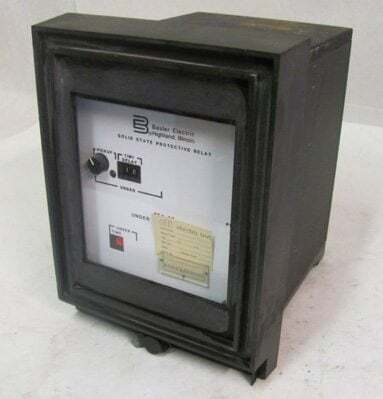 The static relay is the next generation relay after electromechanical type.The Solid Static relays was first introduced in 1960’s. The term ‘static’ implies that the relay has no moving mechanical parts in it. Compared to the Electromechanical Relay, the Solid Static relay has longer life-span, decreased noise when operates and faster respond speed. However, it is not as robust as the Electromechanical Relay. Static relays were manufactured as semiconductor devices which incorporate transistors, ICs, capacitors, small microprocessors etc. The working principle of the Solid Static relays is similar to that of the Electromechanical Relay which means the Solid Static relays can perform tasks that the Electromechanical Relay can perform. The Solid Static relays use analogue electronic devices instead of magnetic coils and mechanical components to create the relay characteristics. The measurement is carried out by static circuits consisting of comparators, level detectors, filter etc while in a conventional electromagnetic relay it is done by comparing operating torque (or force) with restraining torque (or force). The relaying quantity such as voltage/current is rectified and measured. When the quantity under measurement attains certain well-defined value, the output device is triggered and thereby the circuit breaker trip circuit is energized. In some solid state relays, a simple microprocessor does some of the relay logic, but the logic is fixed and simple. For instance, in some time over current solid state relays, the incoming AC current is first converted into a small signal AC value, and then the AC is fed into a rectifier and filter that converts the AC to a DC value proportionate to the AC waveform. An op-amp and comparator is used to create a DC that rises when a trip point is reached. Then a relatively simple microprocessor does a slow speed A/D conversion of the DC signal, integrates the results to create the time-over current curve response, and trips when the integration rises above a set point. Though this relay has a microprocessor, it lacks the attributes of a digital/numeric relay, and hence the term “microprocessor relay” is not a clear term. Early versions used discrete devices such as transistors and diodes in conjunction with resistors, capacitors, inductors, etc., but advances in electronics enabled the use of linear and digital integrated circuits in later versions for signal processing and implementation of logic functions. While basic circuits may be common to a number of relays, the packaging was still essentially restricted to a single protection function per case, while complex functions required several cases of hardware suitably interconnected. User programming was restricted to the basic functions of adjustment of relay characteristic curves. Therefore it can be viewed in simple terms as an analogue electronic replacement for electromechanical relays, with some additional flexibility in settings and some saving in space requirements. A relay using combination of both static and electromagnetic units is also called a static relay provided that static units accomplish the response. Additional electromechanical relay units may be employed in output stage as auxiliary relays. A protective system is formed by static relays and electromechanical auxiliary relays. The constraint in static relay is limited function/features. The essential components of static relays are shown in figure below. The output of CT and PT are not suitable for static components so they are brought down to suitable level by auxiliary CT and PT. Then auxiliary CT output is given to rectifier. Rectifier rectifies the relaying quantity i.e., the output from a CT or PT or a Transducer. The rectified output is supplied to a measuring unit comprising of comparators, level detectors, filters, logic circuits. The output is actuated when the dynamic input (i.e., the relaying quantity) attains the threshold value. This output of the measuring unit is amplified by amplifier and fed to the output unit device, which is usually an electromagnetic one. The output unit energizes the trip coil only when relay operates. 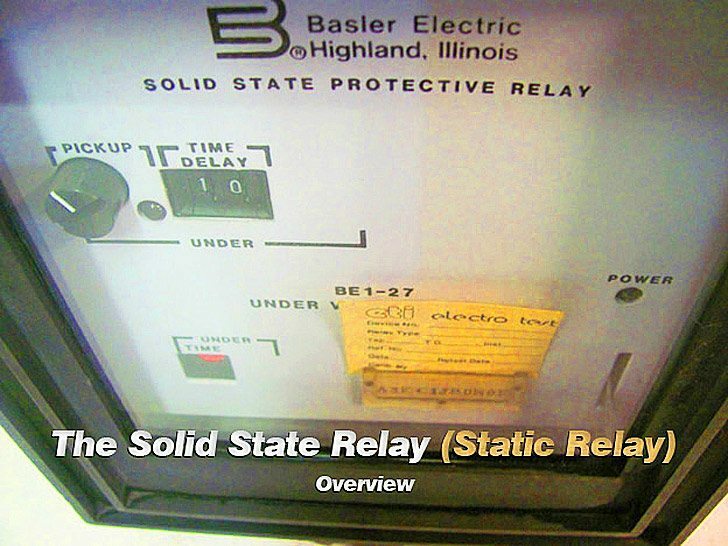 it is one of the best work by writer about knowing Static relay, as it enough to know about, and basically we must be clear first out basic and then dipped inside. many thanks from core of my heart and salute to you.. When we think of a solidstate overcurrent relay made of either by discrete electronic ckt or digital circuits – Whatever the cases might be following steps are primarily works conceptually . : 1) Measure the quantity ( Here current) 2) Comparision with a preset valu of the quantity 3) Signal Generation to actuate. Suppose We are to potect a 25 Amps line might be in a three phase system . 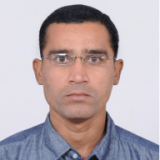 As because there is no virtual delay in switching of such system ( 5 to 10 millisecond) the electrical circuits and insulations or heating effects or burning will not occure before a few seconds are passed by . So taking a 10% excess of that current we can take as preset value .Next matter is how we measure and compare . By using a shunt we take the value of the ir to be sent to the comparator – when more than (25 Amp +2.5 Ampp=27.5) Amp will flow through the circuit ,then the value beyond it , the shunt ‘ir` value will set the comparator to give signal ……….. If people are interested I can go to the next portion . If people are interested then I can give you the next portion .